In an earlier post we saw a dry way of Vine Leaves Maintenance. 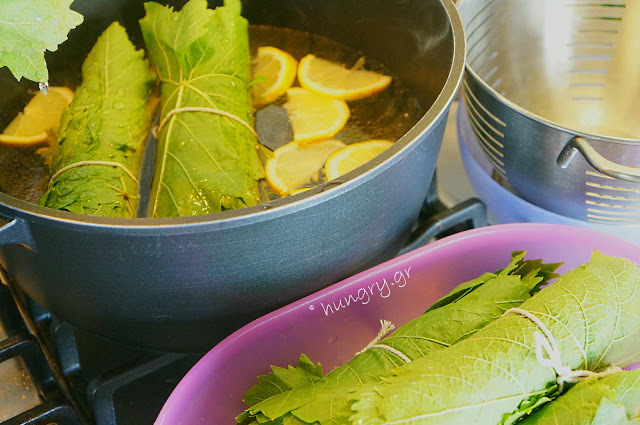 Today Kitchen Stories suggests another way to boil the leaves and then freeze them. 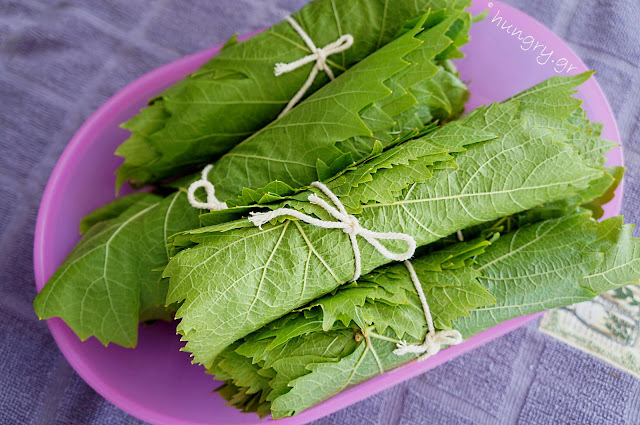 The season of fresh leaves is in May and June, depending on which area we are talking about. 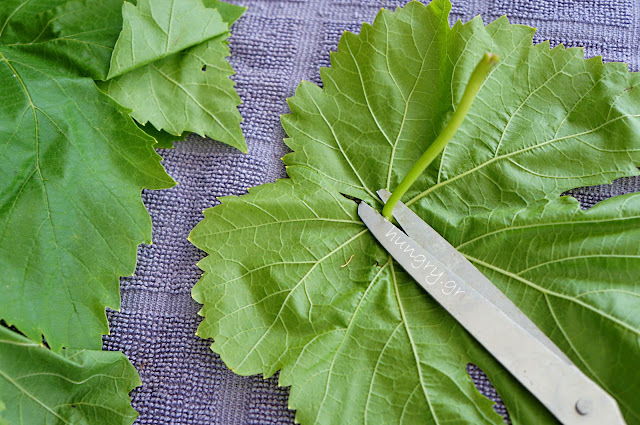 Find and cut your own fresh spring vine leaves, the first ones that Greek vineyards make or buy ready-made cuts from your neighborhood and prepare them to get into your cupboards so you can use them at any time. 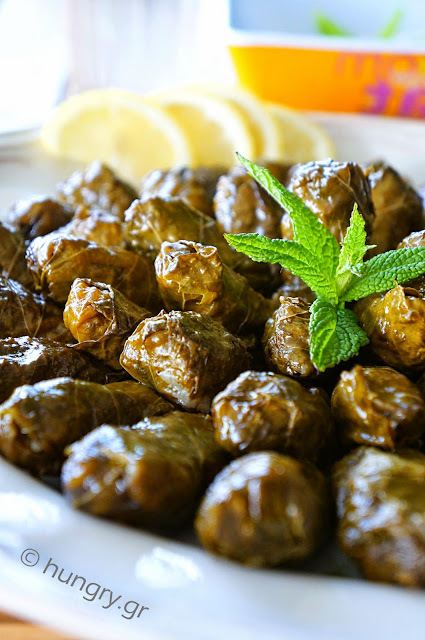 And do not forget the best leaves are gathered when they are still tender only by the climates of the Sultanina variety or Debina variety. The proposed method is simple and very easy. So packaged will be kept perfectly in your freezer. 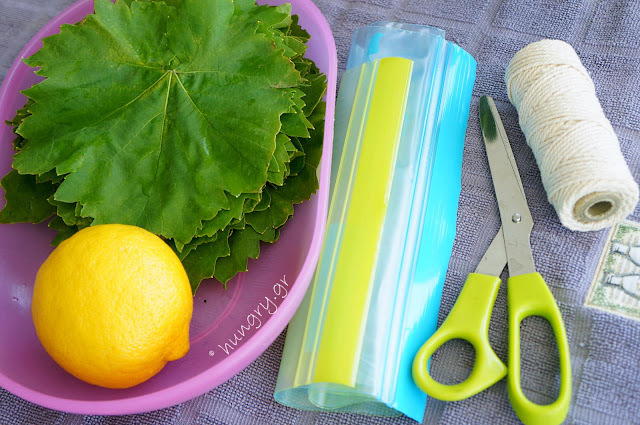 Wash the leaves in plenty of water and me scissors remove their stalks (if they have) very closely to the sheet. We stack them on top of each other in 25. 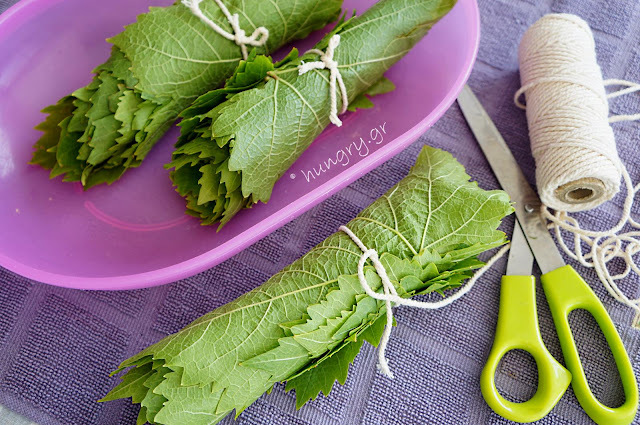 Gently roll each stack of leaves with the outside of the back of the sheet and tie it with the string. We gather together the wrapped bundles. In a large saucepan, boil plenty of water. Inside add 1 teaspoon of salt and lemon slices. 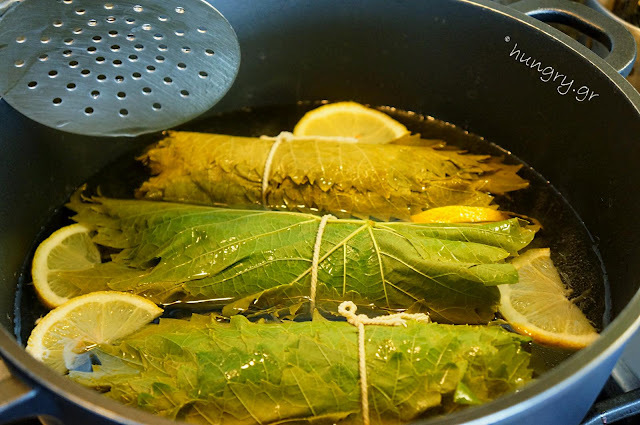 Immerse the wrapped bundles of leaves and let them boil for a little while and change color. With a pierced ladle we turn them on the other side. Remove them from the boiling water and place them vertically in a colander (on a bowl) to drain well and cool. We tighten them vertically between our palms to expel as much water is left inside them. We wrap them one by one with a transparent film like candies. We take one or two plastic food sachets, write the quantity and date and put them in the freezer. So we know how much we need to use in every cooking. 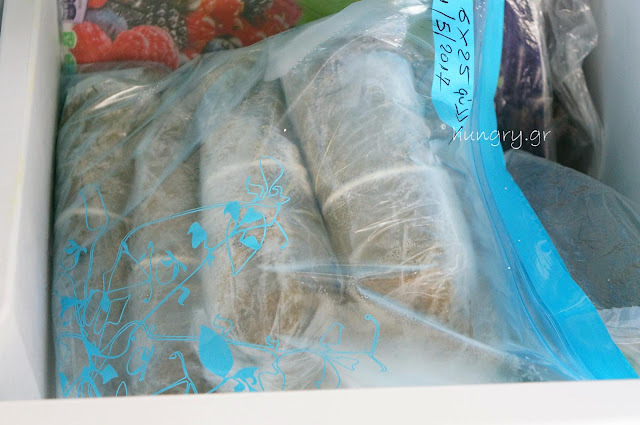 When we are going to use them we leave them a bit to thaw outside the freezer and it's like fresh. 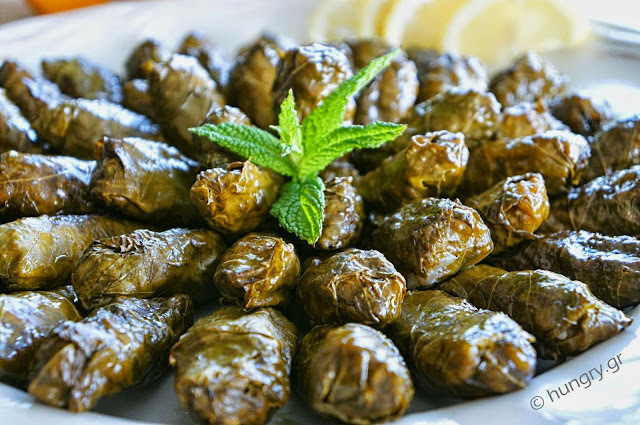 There are several ways to maintain vine leaves in order to have them for the whole year, without the cooling devices of our time. The drying, the bottles, the brine, the jars. 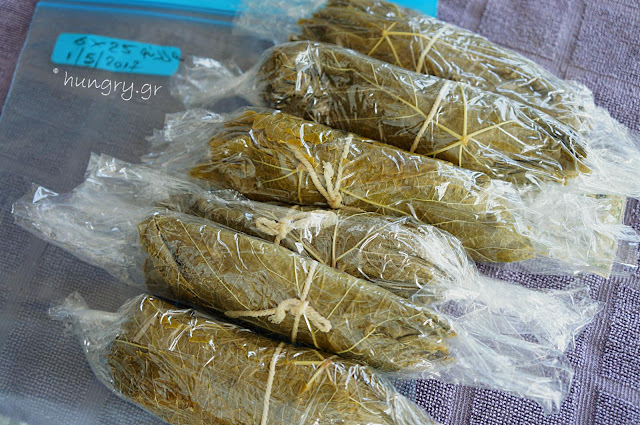 Since ancient times yet, since they stored them in small clay pots, covered with olive oil since they did not have refrigerators, until our days with freezing. 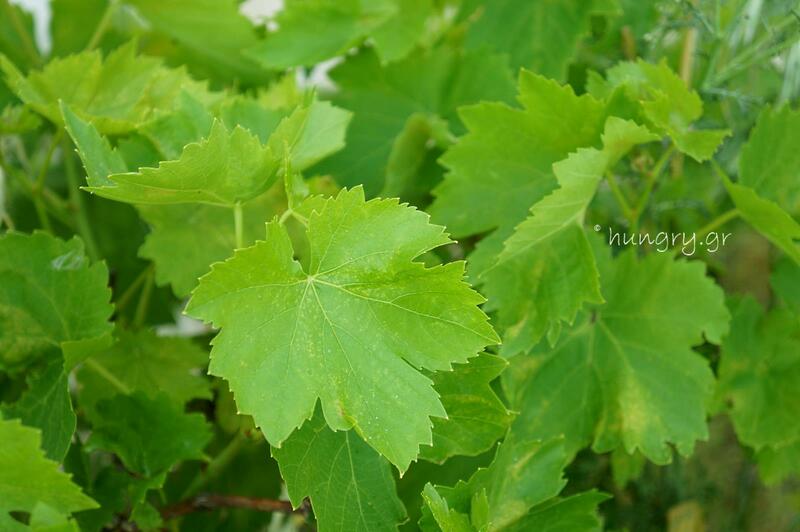 The best time of harvesting the leaves is the months of May and June. 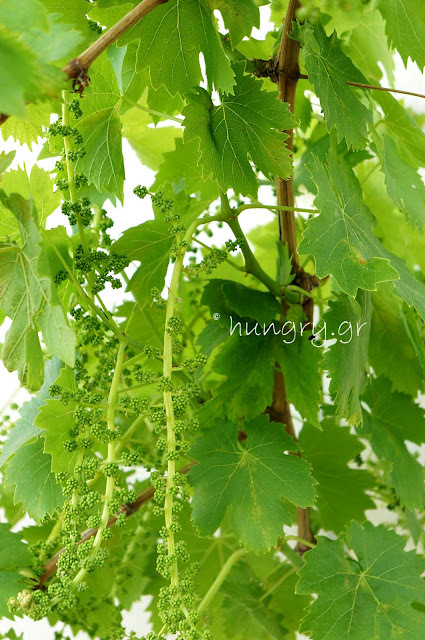 The vine is preferably sultanas, which has the most tender and delicious leaves, and of course not sprayed. Today's maintenance is called dry maintenance and is simple and quite easy. 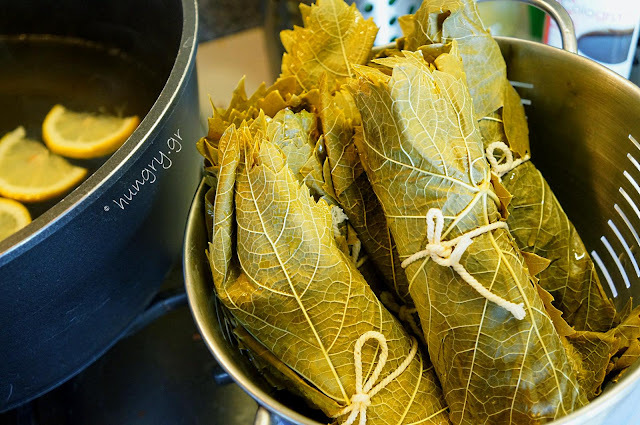 Prerequisite: the leaves are completely dry, otherwise you risk to make black spots from moisture and spoil.